Recent claims about ‘terrestrial’ whales are examined and refuted. The trends cited in whale evolution are rather superficial in nature, and little different from those that become apparent by lining up wheeled vehicles within a cladogram. A close examination of whale evolution in general, and whale-ear evolution in particular, demonstrates that most anatomical traits do not change in a consistent whale-like direction. Recently discovered pakicetids consist of cetacean ‘modules’ within otherwise non-cetacean bodies. These extinct creatures are examples of chimeric creatures. The cetaceans, mesonychids, and artiodactyls share a number of anatomical traits in a pattern that is inconsistent with any type of evolutionary nested hierarchy, and this argues strongly for the special creation of all these creatures. 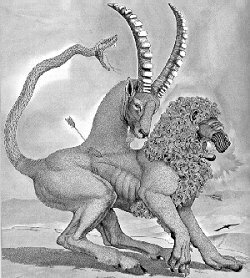 In Greek mythology, the Chimera was an animal whose body consisted of anatomical modules (part-goat, part-snake, and part lion) (Figure 1).1 Another familiar chimera is the mermaid.2 Evolutionists tell us that chimeric creatures do not exist because an extremely improbable set of circumstances3 would have to take place in order to make their existence a reality. Therefore, organisms supposedly evolve as slightly modified versions of their ancestors, and thus culminate in a nested hierarchy of all living things. It is at this point that some evolutionists take a big leap. They speculate that an Intelligent Designer, repeatedly using the same bauplan (construction plan) while creating different forms of life, should create living things by assorting at least some of the modular units. This would result in truly chimeric animals, thereby preventing any sort of classification of living things according to a nested hierarchy. The nonexistence of chimeric creatures is supposed to favor organic evolution over Special Creation. Let us examine these premises. Figure 1. The Chimera according to Greek mythology: part goat, part lion, and part snake. What qualifies as a chimeric creature? The very existence of chimeric creatures depends upon its definition. Whereas chimeras involving entire half-body modules, such the human-module/fish-module of the mermaid, have not been discovered, less pronounced examples of mosaic creatures do exist, and do so in large numbers. Every time we hear the word ‘convergence’ in ‘evolspeak’, in reference to some anatomical attribute, we are actually hearing about a chimeric creature that has violated, to some degree, an evolutionary nested hierarchy. Oh no? Consider the microorganisms, in which there is such a chimeric overlap of essential genomic components among and between the Bacteria, Eukarya, and Archaea, that an extensive ancient set of genetic exchanges is postulated.7 Among marine invertebrates, the extinct cephalopods show such a bewildering assortment of chimeric conch morphologies that it is often difficult to distinguish presumed shared ancestry from convergence.8 What’s more, these real-life chimeras also make it difficult to classify cephalopods according to higher taxonomic categories. When convergence of traits is extensive, we often hear evolutionists speak of ‘the mosaic nature of evolution’. As an example of this, the mammal-like reptiles are much more chimeric than ‘transitional’ creatures.9 Rather than a progression to ‘mammalness’, we observe an assortment of unmistakable reptilian traits and unmistakable mammalian traits. Figure 2. A generalized pedigree of supposed whale evolution. While not strictly indicative of inferred ancestor-descendant relationships, each of the fossil organisms is supposed to be a ‘signpost’ indicative of the progressive appearance of ‘whaleness’. That (half-convincing) evolutionary transitional forms number a mere handful only repeats what creationist scientists (for example, Duane T. Gish15) have been saying for decades, and squarely refutes the anti-creationists who adamantly insist that transitional forms are common. Let us analyze what usually passes for ‘transitions’ in discussions surrounding the evolution of whales. To illustrate this, I have constructed a mock character-trait matrix (Table 1), and thence a cladogram (Figure 3) to show the gradual ‘evolution’ of a unicycle into an 18-wheeled truck.16 Note that the apparent progression seems, at first, to be somewhat convincing.17 However, a closer look reveals that the ‘step-by-step’ transition-filled progression is actually quite superficial,18 as it is full of discontinuities. (The pointing out of discontinuities is sometimes dismissed as an exercise in futility: of having two gaps whereas before there was one. As elaborated elsewhere,19 however, it is the magnitude of the gap or gaps which is/are important and not the number(s) of alleged gap-filling organisms!) Even more serious is what is not presented in the character matrix (Table 1) or cladogram (Figure 3)—namely specializations,20 and the outright reversal of traits.21 The latter are very much part of the unmentioned story of ‘whale evolution’, as described below. Table 1. Mock character-trait matrix of wheeled vehicles. Most traits are polarized: 0-Absent and 1-Present. The number of wheels is indicated by three times the natural logarithm of the actual number of wheels, rounded off to the nearest whole number. The cargo space is denoted by the ratios of natural logarithms of the cargo volume relative to that of the automobile, based on a guesstimate. Do ‘fossil whales’ generate a chain of transitional forms? Earlier claims of ‘transitional fossil whales’ had been found wanting.22 A recent National Geographic article23 calls the reader’s attention to a number of supposed trends24 in cetacean evolution. These are towards: 1) Greater aquatic specialization,25 2) Underwater hearing,26 3) Reductions in size of the hindlimbs,27 and 4) Migration of the nares (nostrils) towards the posterior of the skull’s dorsal (upper) surface.28 The alleged trend towards underwater hearing merits some attention, and is discussed in some detail below. The remaining three trends fail immediately because they are superficial in nature, and are not corroborated by detailed anatomical analyses, as elaborated below. Moroever, a close look at the relative positions of the nares in the skulls of just the five protocetid genera29 while showing a slight trend towards more posterior placement with supposed time, also reveals the fact that this meager trend is completely overshadowed by the considerable differences in cranial geometry between the five genera. On this basis, any ‘trend’ towards increasingly posterior placement of the nares within protocetids, let alone within the entire Order Cetacea, is all but meaningless. It is literally like comparing apples and oranges, and making something out of the fact that one can arrange these fruits into a sequence showing progressively larger pores. The three-member ‘Nasal Drift’ sequence28 in the National Geographic article is, in my opinion, disingenuous to the point of bordering on intellectual dishonesty—doubly so in view of the fact that most readers of that magazine are unsuspecting laypersons. Figure 3. A mock cladogram of wheeled vehicles, showing ‘transitional’ changes leading to the ‘evolutionary’ emergence of 18-wheeled trucks. Using this as an analogy, but adhering to evolutionistic reasoning, the pakicetids are walking whales in the same way that unicycles are primitive trucks. We would never actually consider the bicycle as ancestral to the motor vehicles (Table 1, Figure 3) in spite of its ‘structurally intermediate’ character between the unicycle and the automobile. Why not free ourselves from the mental boxes of evolutionary thinking and give living things the same benefit? Note that, in contrast to the locomotion of the terrestrial pakicetids, that of the ambulocetids and rodhocetids is described as resembling the locomotion of modern sea lions, eared seals, and otters.36 In fact, these creatures are actually endowed with lutrine (like an otter) and phocid (like a seal) relative limb proportions.37 Why then not view these extinct creatures as little more than ecological counterparts of extant seals, otters, etc., and forget all of the evolutionary tales that have them transformed to whales? As if all this were not enough, the few pakicetid traits once believed unambiguously indicative of an aquatic or semi-aquatic transitional lifestyle, are no longer necessarily considered thus.42 Consequently, the already borderline-deceptive practice33 of sketching Pakicetus as a semiaquatic-adapted creature, in a very recent issue of National Geographic magazine,43 is all the more inexcusable. And it is creationists who are supposed to be the purveyors of inaccurate and outdated information! Up to now, the anatomical changes in the alleged land-animal-to-modern-whale progression have been followed only in response to the cursory and superficial ‘trends’ cited by evolutionists. As was the case with the mammal-like reptiles,9 what is needed is a comprehensive survey of all of the relevant traits of this supposed transformation. Unfortunately, much data is lacking, making it all but impossible to meaningfully compute the relative numbers of progressive and nonprogressive anatomical traits,45 as had been done for mammal-like reptiles.9 It cannot be stressed enough that, from an evolutionary point of view, organisms situated at the point of trait reversal are chimeras consisting of ‘primitive’ and ‘derived’ features, and they will not fit any nested hierarchy. In spite of the problems with missing data in cetacean evolution, one can arrive at an extremely conservative46 estimate of the relative proportion of non-progressive traits. In order to minimize the possibility of artifacts caused by incomplete information, we can compare several cladistic analyses by different authors, each of which use different anatomical traits, different outgroups for comparison, and different constituent taxa. Let us consider one analysis47 of basicranial, cranial, dental, postcranial, and live-tissue data (from living cetaceans). I trace the changes in character polarity which take place through all of the organisms listed in Figure 2, with modern whales represented by Baleonoptera and Tursiops. Out of the 123 anatomical characters evaluated by the cited authors, only 33 have data for at least 7 of the 8 taxa, and are considered further. Out of these 33, fully 24% reverse themselves at least once, and are therefore nonprogressive. To show that this is no fluke (pardon the pun), let us now focus on another cladistic analysis, which consists of 67 skeletal traits48 in a comparable range of fossil to modern cetaceans (Figure 2). Although 30% (183 of 603 data points) are missing, an astonishing 31% (21 out of the 67) traits are nonprogressive. As noted earlier about the National Geographic article, a handful of traits supposedly showing a trend in cetacean-ear evolution had been selectively highlighted.26 Not mentioned are the large bodies of contrary evidence, consisting of numerous anatomical details that show no consistent trend towards ‘whaleness’. There is a whole suite of features, found in archaeocete whales, which are believed to have become (conveniently) ‘secondarily lost’ (or ‘reversed’) in the Odontocetes and Mysticetes.52 Keeping in mind the extremely conservative nature of all of the above estimates, it is plain to see that any connotation of ‘cetacean lineage’ (e.g., Figure 2) is totally artificial. The supposedly progressive character of cetacean evolution (aural as well as non-aural) is completely unwarranted. Furthermore, rather than being the crown group of cetacean evolution (Figure 2), the extant mysticete and odontocete whales stand out as chimeras consisting of mostly derived but also many primitive features. Believe it or not, the hoary and long-discredited53 embryonic-recapitulation theory is dusted off and employed by some whale-evolution specialists54 to infer the supposed fine stages of cetacean ear evolution. The fact that evolutionists feel the need to fall back on the recapitulation theory in order to infer alleged evolutionary changes is itself mute testimony to the fact that detailed structural intermediates illustrative of alleged cetacean aural evolution are lacking. Walking whales or walking chimeras? While certainly not as dramatic as the would-be discovery of a genuine mermaid, the chimeric structure of the pakicetids and ambulocetids could hardly be described in a more lucid manner. It is difficult to imagine how, by any stretch of the imagination, the pakicetids are supposed to qualify as gap-fillers between the terrestrial artiodactyls and aquatic true cetaceans. 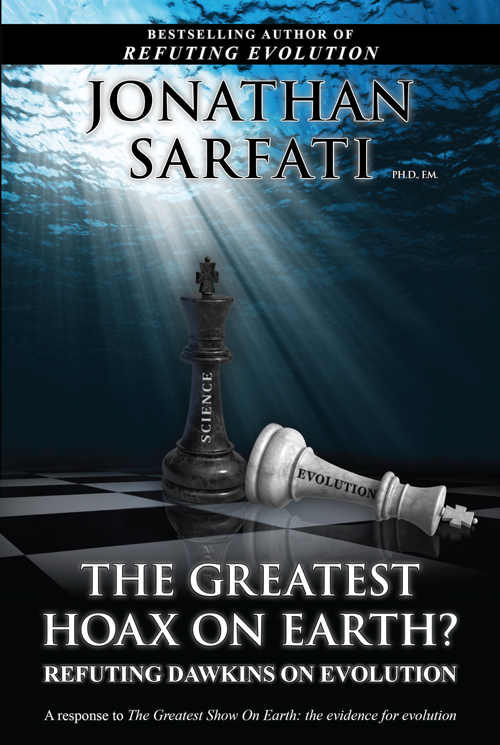 The fact that serious evolutionary scholars make such claims14 only goes on to show the poverty of evidence for evolution, and the concomitant desperate lengths to which evolutionists will go to recruit some extinct creature as a transitional form. The recent finding of certain whale-like (actually seal-like) protocetids56 does nothing significant to close the huge chasm between pakicetids and true cetaceans. With the exception of possessing the artiodactyl-like ‘double-pulleyed’ astralagus (heel), these newly described protocetids are highly specialized, fully aquatic creatures, and not indicative of any compelling ancestral connections to the pakicetids or the ambulocetids. Figure 4. Mesonychians as the sister group of the Cetaceans. The chimeric mammalian orders, and failed nested hierarchy, are subject to either (or both) secondary-loss rationalizations (left), or convergent-evolution rationalizations (right). When the pakicetids were discovered along with a host of other finds,61 the artiodactyls began to displace the mesonychids as the closest known relatives of cetaceans (Figure 5). The ‘double-pulleyed’ astralagus now appears to be an unambiguous component of both the pakicetid and protocetid skeletons. This synapomorphy (shared form) links artiodactyls and cetaceans as sister groups, to the exclusion of mesonychians, which do not possess this kind of specialized heel.11 The three mammalian orders are clearly chimeras. Once again, the evolutionary nested hierarchies have been turned upside down, as chimeric creatures are incompatible with any sort of nested hierarchy, and only create headaches for evolutionists. The evidence places the evolutionist in a particularly unenviable position. Notions of ‘stratomorphic intermediates’ are of no help to him, as the stratigraphic order of fossils themselves does not show a clear-cut preference for one phylogeny over another.62 So which anatomical traits is he to reckon as phylogenetically informative, and which is he to reject and explain away? Having made his arbitrary decision, he is forced to make another one. Which rationalization is he to invoke—the one which supposes ‘backward evolution’ and character loss (Figure 4, left, and Figure 5, left), or the one which imagines that lookalike complex anatomical structures can independently arise in different lineages (Figure 4, right, and Figure 5, right)? How much more parsimonious to recognize an Intelligent Designer who used the same anatomical modulus in otherwise-different mammalian orders? Since rationalistic preconceptions won’t, of course, allow the evolutionist to consider the latter possibility, he is forced to stumble along in his imaginations and rationalizations. For some evolutionists,63,64 the secondary ‘de-volution’ of the specialized artiodactyl heel is considered possible (Figure 4, left). Others65 speculate that the ‘double-pulleyed’ heel is homoplasic. According to this thinking, the ‘double-pulleyed’ astralagus must have arisen twice independently (convergently) in artiodactyls and mesonychians (Figure 5, right). Conversely, if pakicetids are to be accepted as the closest known relatives of cetaceans, as the ruling paradigm dictates, all of the foregoing rationalizations must be placed in reverse. The evolutionist must now contemplate the ‘reverse evolution’ of artiodactyl teeth back towards a less-derived state (Figure 5, left). A recent study11 actually contemplates this evolutionary flip-flop. There is yet another set of rationalizations invoked for the conflicting phylogenies shown in Figures 4 and 5. It would have us believe that the most basal cetaceans, artiodactyls, and mesonychians have not been discovered, and these postulated fossils hold the key to our understanding of the correct evolutionary branching order.67 Apart from being ad hoc, this hypothesis is self-defeating because it invokes large gaps in the fossil records of the mammalian orders, and thereby implicitly repudiates the claim that fossil cetaceans qualify as a transition-filled sequence! It invokes nonexistent fossils to resolve problems in known ones. Figure 5. Artiodactyls as the sister group b of the Cetaceans. Although the players are reversed, the evolutionary game is the same: the chimeric mammalian orders, and failed nested hierarchy, are subject to either (or both) secondary-loss rationalizations (left), or convergent-evolution rationalizations (right). In answer to the questions posed by the title of this report, the answers are: 1). No, walking whales do not exist. Just because pakicetids have somewhat cetacean-like middle ears and cetartiodactyla-type double-pulleyed heel bones, this does not yet make them whales—unless of course one is willing to entertain the most ludicrously-strained definition of a whale. Perhaps pakicetids are walking whales just as firetrucks are tomatoes on wheels (since both firetrucks and tomatoes are red, and both are filled with water). 2). Owing to widespread so-called evolutionary convergence, a nested hierarchy of living things exists only in part. The more detailed the anatomical analysis, the more the nested hierarchy breaks down. While full-bodied chimeric creatures, such as mermaids and mermen, do not exist, somewhat lesser examples of chimeric creatures, of which pakicetids and mesonychids are notable examples, definitely exist. Whenever evolutionists make assertions about the limits of convergence, they do so on an after-the-fact basis.68 As ever-more-detailed examples of convergence are found, evolutionists are forced to backpedal, thus ‘moving the goalpost’ of conceivable convergence. For a long time, evolutionists had tacitly supposed that detailed convergences of clusters of traits (modules), such as the independent acquisition of cetacean-like teeth in mesonychids and cetaceans (Figure 5, right), were a virtual impossibility. What is there to stop the evolutionists from saying, in case of the discovery of a mermaid-like chimeric creature, that even more pronounced convergence of modular units can occur than previously supposed? Evolutionary theory is so plastic that any observation could be fitted into it. The apparent absence of extremely-chimeric creatures cannot, by any standard of reasoning, be accepted as evidence for evolution. To the contrary, the existence of less-extreme chimeric creatures, notably ‘fossil whales’, argues strongly against a common evolutionary ancestry of living things. Figure 1 is a black and white version of the colored drawing from: Monsters and Mythical Creatures: Chimera. Located at <library.thinkquest.org/18650/data/monsters/chimera.htm>. Superficial resemblance between parts of organisms do not qualify as biological chimeras. For instance, a seahorse is not a chimeric creature, as its head only outwardly resembles that of a horse. Nor are analogous structures the basis for biological chimeras. For instance, the vertebrate eye and the octopus eye are very similar but noticeably different. No one would suggest that cephalopods and vertebrates must have shared a recent common ancestor, or that the octopus qualifies as a chimera between Phylum Molluska and Phylum Chordata. According to evolutionists, it would be extremely unlikely for a human-duplicating head/upper-torso module to re-evolve independently in a lineage of fishes, or, reciprocally, for a fish-duplicating lower-body module to reappear in some lineage of near-human primates. In addition, some evolutionists suppose that, once a set of evolutionary events take place, such as those which generated the anatomy of the fish, the resulting body becomes so specialized that the appearance of radically-different organismal modules is developmentally precluded. As usual, evolutionists, when arguing that an Intelligent Designer of life would ‘copy’ the same anatomical modules into otherwise-different organisms, presume to know what God would and would not do. We might speculate that God created living things as integrated units, perhaps governed by developmental constraints. In other words, there might exist such functional entities as ‘an essential feline body plan’, ‘an essential hircine body plan’, and ‘an essential serpentine body plan’. It is for this reason that, in spite of His omnipotence, He might have been dissuaded from, for example, going out of His way to assort the lion, goat, and snake modules into a literal Chimera. There are some chimeric structures in existence built by man. For example, the boat and airplane can each function alone, or be built-in to a larger mobile machine (in this case, the seaplane). But these are exceptions, and there is usually no difficulty in classifying tools and machines into mostly non-overlapping categories. For instance, there is no ambiguity about which machine is an eggbeater and which is an automobile, as there is no machine in existence that is a chimera consisting of an eggbeater module and an automobile module. Let us, for instance, assign all of the petroleum-burning machines into a kingdom. Of this, the gasoline-burning ones form a subkingdom. The rubber-wheeled vehicles form a phylum. Of this, conventional automobiles are a class. Each type of car (2-door hatchback, 4-door hatchback, 2-door sunroof, etc.) forms a family. Finally, the manufacturer’s designations make up the genus (e.g. Toyota) and species (e.g. Toyota Tercel). Using selected mechanical components, a nested hierarchy can also be inferred from the structures of wheeled vehicles, whether expressed as a character matrix (Table 1), or cladogram (Figure 3). 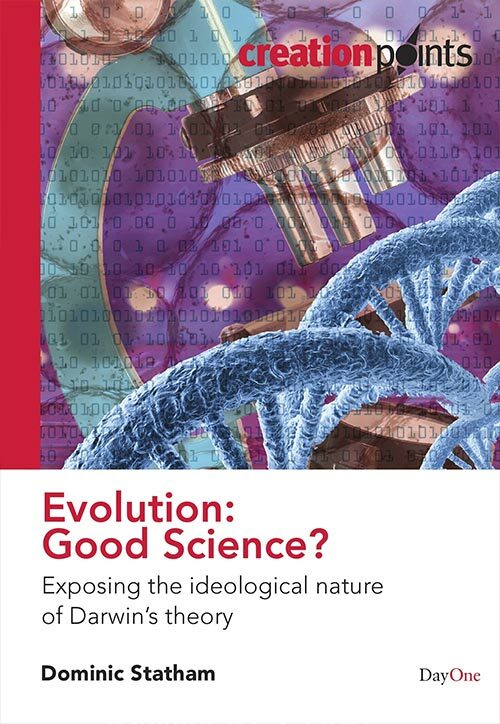 Brewer, G.J., The imminent death of Darwinism and the rise of Intelligent Design, ICR Impact 341:ii, 2001. See Figure 2 therein for a schematic portrayal of the presumed ancient genetic exchanges. Woodmorappe, J., Studies in Flood Geology, Institute for Creation Research, El Cajon, pp. 184–185, 1999. Woodmorappe, J., Mammal-like reptiles: major trait reversals and discontinuities, TJ 15(1):44–52, 2001. It is shown that relatively few anatomical traits of mammal-like reptiles display a unidirectional trend towards mammalness, even if the biostratigraphic succession of mammal-like reptiles and so-called early mammals is accepted at face value. Naples, V.L. and Martin, L.D., Evolution of hystricomorphy in the Nimravidae (Carnivora; Barbourofelinae): evidence for complex character convergence with rodents, Historical Biology 14:186–187, 2000. Thewissen, J.G.M., Williams, E.M., Roe, L.J. and Hussain, S.T., Skeletons of terrestrial cetaceans and the relationship of whales to artiodactyls, Nature 413:277–281, 2001. Figure 2 here is a copy of the whale family tree located at <www.neoucom.edu/depts/ANAT/Thewissen.html>, 2001, p. 1 (modified by the inclusion of Rhodhocetidae). As for usage of this Internet material, ‘All pictures on Thewissen’s pages are public access, although the source must be identified in publication’ (p. 2). The informal phrase ‘true cetaceans’ refers to fully-aquatic creatures such as ambulocetids, remingtocetids, protocetids, basilaurids, dorudontids and, of course, modern dolphins and whales (Figure 2). For reasons that are obvious in the text, I do not consider pakicetids to be cetaceans, walking or otherwise. Muizon, C.de., Walking with whales, Nature 259:260, 2001. As we shall see, however, Muizon’s assertion that ‘… the new fossils superbly document the link between modern whales and their land-based forebears …’ is absurd in the extreme. Gish, D.T., Evolution: The Fossils Still Say No, Institute for Creation Research, El Cajon, 1985. It is always the same few examples of evolutionary transitions that keep coming up: Australopithecus, Archaeopteryx, mammal-like reptiles, and, now, whales. These machines are ‘special creations’—by man. There is even a ‘temporal’ aspect to this cladogram. While I am unsure whether or not unicycles preceded bikes in existence, there is no doubt that bicycles existed before motor vehicles, and automobiles existed before trucks. Although ancestor-descendant relationships are eschewed in accordance with cladistic methodology, only the most direct ‘lineage’ between unicycles and heavy trucks is shown (Figure 3). Other vehicles ‘evolve’ as side branches. For example, three-wheeled tricycles would, if shown, appear as a side branch off the bicycle clade, and buses would, if shown, branch off the automobile clade. For instance, the number of wheels changes quite abruptly in the sequence, especially when starting with 10 wheels in the light truck and suddenly ‘evolving’ to 18 wheels in the heavy truck. Likewise, the upward exhaust pipe in the trucks appears out of nowhere from the back-rear horizontal counterpart in the immediately less-derived car. The pedal-driven ‘power train’ of the cycles suddenly gives way to the combustion-engine ‘power train’ of the motorized vehicles. Note also the decidedly non-incremental disappearance of the kickstand just prior to the emergence of 3-wheeled motorcycles, and the sudden appearance of a fully-enclosed driver/passenger cabin with the ‘evolutionary emergence’ of the automobile. Thus, the chain of intermediates (Figure 3 and Table 1) turns out to be very discontinuous when examined closely. Precisely the same situation applies to the seeming step by step appearance of cetacean features with time, as discussed in the text. Woodmorappe, J.W., Does a ‘transitional form’ replace one gap with two gaps? TJ 14(2):5–6, 2000. As examples of what evolutionists would call specializations, imagine the bicycle-only appearance of reflectors on the pedal brakes, and the automobile-only appearance of a window on the roof (sunroof). As an example of a trait reversal, or nonprogressive trait, suppose that an externally-visible fuel tank appears in 2-wheeled motorcycles, disappears in the successively-more derived two vehicles (cars and light trucks), and then re-appears in trucks. This would be shown in a column, going top to bottom, as (1100100). Camp, A.L., The overselling of whale evolution, Creation Matters, May/June 1998. See also: <www.trueorigins.org/whales.asp>. Although there are lingering questions about the degree of time-stratigraphic difference between particular ‘fossil cetaceans’, as well as doubts about the skeletal elements necessarily belonging to the same individual, I do not address these questions in this report, but accept the published claims as given. Chadwick, D.H., Evolution of whales, National Geographic 200(5):64–77, 2001. ‘Trends’ in this case does not necessarily mean ancestor-descendant relationships, nor necessarily improved organisms with time. Rather, it is supposed to connote a ‘lineage’ in the sense of the progressive appearance of cetacean anatomical features among organisms through time, using modern whales as the frame of reference. Chadwick, Ref. 23, pp. 66–69. The figure in National Geographic, in effect, shows a ‘Back to the Sea’ parade of of dubiously-related and dubiously-successive creatures. Chadwick, Ref. 23, p. 71. Chadwick, Ref. 23, pp. 72–73. Chadwick, Ref. 23, p. 75. Supplementary material to Gingerich et al. (Ref. 36). 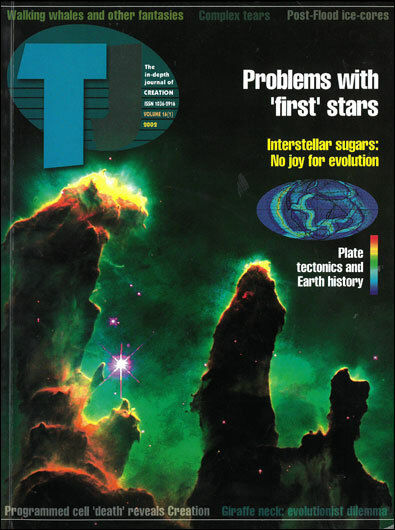 Located at <www.sciencemag.org/cgi/content/full/293/5538/2239/DC1>, 2001, Supplemental Figure 2, pp. 5–6, 2001. Differences between the rostral shapes of the skulls are attributed to ‘feeding specializations’. Note that ‘specialization’ is a standard evolutionistic buzzword for anatomical traits that do not fit a ‘transition-filled’ sequence (See Ref. 20). Chadwick, Ref. 23, p. 73. To its credit, the National Geographic article mentions the fact that diminished hindlimbs, complete with jointed knees and toes in Basilosaurus, probably functioned as copulatory guides. Likewise, the article informs the reader that the usually tiny ‘hindlimbs’ found in modern whales serve as anchors for the muscles of the genitalia. There is thus no compelling reason for considering the reduced hindlimbs, which occur in true cetaceans, as evolutionary leftovers of a terrestrial ancestry. Supplementary information to Thewissen et al., Ref. 11. Located at <www.nature.com/nature/journal/v413/n6853/extref/413277aa.doc>, pp. 12–47, 2001. Thewissen et al., Ref. 11, p. 278. Yahya, H., A whale fantasy from National Geographic, <www.harunyahya.com/70national–geographic–sci29.html>, pp. 2–3, 2001. The readers of National Geographic are subject to the canard about modern creationists believing in the fixity of species. Chadwick, Ref. 23, p. 69: ‘As Thewissen put it, “Whales underwent the most dramatic and complete transformation of any mammal. The early stages were so poorly known 15 years ago that creationists held up whales as proof that species couldn’t possibly have come about through natural selection. Now whales are one of the better examples of evolution”.’ Why didn’t the editors of National Geographic at least get this elementary fact straight by perhaps taking a little time to check into what creationists actually profess? Fish, F.E., Biomechanical perspective on the origin of cetacean flukes; in: Thewissen, J.G.M., The Emergence of Whales, Plenum Press, New York, London, p. 315, 1998. Gingerich et al., Origin of whales from early artiodactyls: hands and feet of Eocene Protocetidae from Pakistan, Science 293:2241, 2001. The protocetids are generally believed to be ancestral to later basilosaurid whales, and hence to be on the direct line of cetacean evolution. Thewissen, J.G.M. and Fish, F.E., Locomotor evolution in the earliest cetaceans: functional model, modern analogues, and paleontological evidence, Paleobiology 23(4):486–489, 1997. Gingerich, P.D., Paleobiological perspectives on Mesonychia, Archaeoceti, and the origin of whales; in: Thewissen, Ref. 35, pp. 442–443. The putative cetacean genera considered by Gingerich are: Pakicetus sp., Ambulocetus sp., Rodhocetus sp., Protocetus sp., Basilosaurus-Dorudon sp. The range of values for each time interval is considerable to begin with. Moreover, if one connects the points representing up to six of these genera, one only obtains a pattern that zigzags at least once for each trait. Thus, three of these four traits are clearly nonprogressive (see Ref. 21). Thewissen et al., Ref. 11, p. 277. See Ref. 32. For reasons discussed by the authors, neither the pattern of tooth wear, nor the structure of the pakicetid middle ear, can any longer be accepted as necessarily indicators of aquatic life. Chadwick, Ref. 23, p. 66. Anonymous, Cover description, Trends in Ecology and Evolution 16(10):inside cover, 2001. Progressive traits are those which proceed unidirectionally from a less derived to a more derived state. Hypothetical examples are denoted by (000001), (00012222), and (3333333331). Nonprogressive traits are those which reverse direction within a sequence of alleged evolution, and are discussed in Ref. 21. Additional examples of nonprogressive traits are denoted by (000101111111), (000000011222121), and (4321232222211211000). This follows from the fact that missing data is reckoned as being in agreement with a progression [e.g., (01?111)]. If missing data became available, it could never change a nonprogressive trait into a progressive one, but could readily change an apparently progressive trait into a nonprogressive one. This would occur, in this example, if the missing data point [indicated by (?)] was found to have a character polarity of zero, thus generating the following nonprogression (010111). O’Leary, M.A. and Geisler, J.H., The position of Cetacea within Mammalia: phylogenetic analysis of morphological data from extinct and extant taxa, Systematic Biology 48(3):489–490, 1999. Uhen, M.D., Middle to Late Eocene basilosaurines and dorudontines; in: Thewissen, Ref. 35, pp. 54–57. Luo, Z. Homology and transformation of cetacean ectotympanic structures; in: Thewissen, Ref. 35, pp. 283–284. This sole synapomorphy is the involucrum. Another putative cetacean synapomorphy, the sigmoid process, is no longer considered a ‘dead ringer’ for cetacean identity because it has now been found in unquestionably non-cetacean fossil mammals. Luo, Z. and Gingerich, P.D., Terrestrial Mesonychia to aquatic Cetacea: Transformation of the basicranium and evolution of hearing in whales, University of Michigan Papers in Paleontology 31, pp. 52–70, 1999. Geisler, J.H. and Luo, Z., The petrosal and inner ear of Herpetocetus sp. (Mammalia: Cetacea) and their implications for the phylogeny and hearing of archaic mysticetes, J. Paleontology 70(6):1051, 1996. Luo, Ref. 49, Table II therein, p. 274. For example, when it comes to ammonoid evolution, the recapitulation theory had been found so unworkable that it had been abandoned, at least by English workers, as long ago as the 1920s. See Woodmorappe, Ref. 8, p. 183. As examples: Fish, Ref. 35, pp. 315, 320; Luo, Ref. 49, pp. 270-271, 284, 294; Luo and Gingerich, Ref. 50, pp. 74, 85. Gatesy, J. and O’Leary, J.A., Deciphering whale origins with molecules and fossils, Trends in Ecology and Evolution 16(10):562–563, 2001. Gingerich et al., Ref. 36, pp. 2239–2242. To give an extreme example to make the point, imagine that cetaceans were the only known mammals in existence. It then would commonly be supposed that ‘mammalness’ and ‘whaleness’ must necessarily coexist in the same animal. Following the ‘pakicetids are cetaceans’ fallacy, the discovery of fish would lead to the false inference that fish are a type of mammal (by redefining ‘mammal’ so that it can include fish). Mesonychids are a group of extinct ungulates. Naylor, G.J.P. and Adams, D.C., Are the fossil data really at odds with the molecular data? Morphological evidence for cetartiodactyla phylogeny reexamined, Systematic Biology 50(3):444–453, 2001. Luo and Gingerich, Ref. 50, p. 72. SINES, a group of ‘shared mistake’ genetic markers, were found to closely link the artiodactyls with the cetaceans. Many researchers have accepted this apparent evidence as unassailable. This is in spite of the fact that we now know that, contrary to earlier beliefs, SINES can be independently inserted at the identical genomic site in different organisms: Woodmorappe, J., Are pseudogenes ‘shared mistakes’ between primate genomes? TJ 14(3):60, 2000. O’Leary, M.A., The phylogenetic position of Cetaceans: further combined data analyses, comparisons with the stratigraphic record and a discussion of character optimization, American Zoologist 41:500, 2001. Matthee et al., Mining the mammalian genome for artiodactyl systematics, Systematic Biology 50(3):388, 2001. Milankovitch, M.C. and Thewissen, J.G.M., Even-toed fingerprints on whale ancestry, Nature 388:623, 1997. Milankovitch et al., Cetaceans are highly derived artiodactyls; in: Thewissen, Ref. 35, p. 127. Naylor and Adams, Ref. 59, pp. 452–453. Gatesy and O’Leary, Ref. 55, pp. 568–569. Evolutionists examine fossil and living things, assume that evolution has been responsible for their origins, and deduce what the limits of convergence are on this after-the-fact basis. As more and more detailed examples of nested-hierarchy-violating traits are discovered, evolutionists simply ‘move the goal posts’ about the limits of convergence. Consequently, the evolutionary notions about the limited possibilities of detailed convergence are without constraint.